From April 11-15 of this year we attended an annual conference that has become the Christian conference in South Florida. We're talking about Breakthrough South Florida in Ft. Lauderdale. Sponsored by missions leaders Georgian & Winnie Banov, the conference included guest evangelists Bishop Mark Chironna, Patricia King & the most prolific missionary in the world, Heidi Baker, who has planted over 10,000 churches, orphanages and schools - and whose global ministry has over 250 raising the dead since 2005. 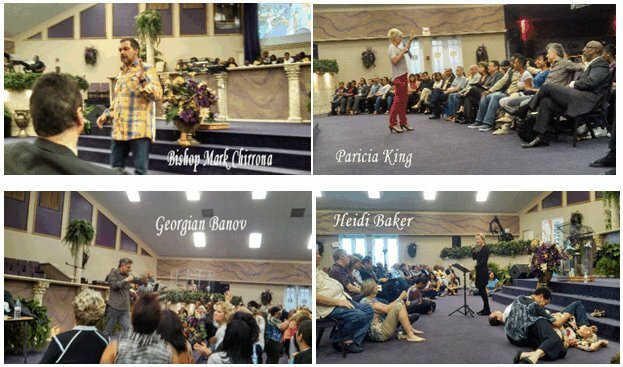 The teaching was incredible and the move of the Spirit was tangible. The worship, by the Bethel team, brought down open heaven and the anointing was heavy. 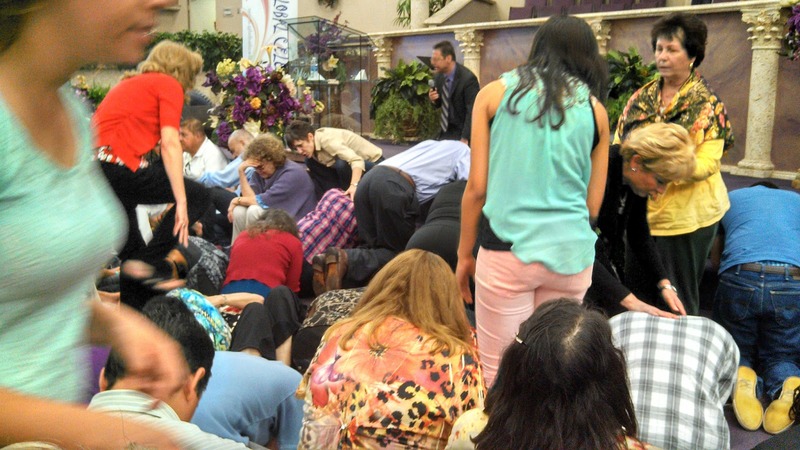 There were plentiful impartations and Spirit slayings - the presence of the Lord was like molasses. Pastors being humbled before God during one of the 'Pastors only' sessions. It was amazing to see over 250 church leaders and evangelists brought to their knees by the power of God. 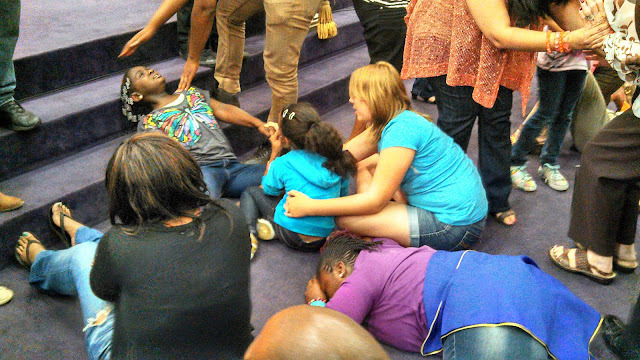 Some of the children, baptized in the Spirit and being ministered to. There were children's ministers from Bethel School of Supernatural Ministries that worked with the kids, ranging in age from 4 to 12, from 9AM to 9PM - and they were hungry for more. One of the most beautiful and powerful things I've ever seen. 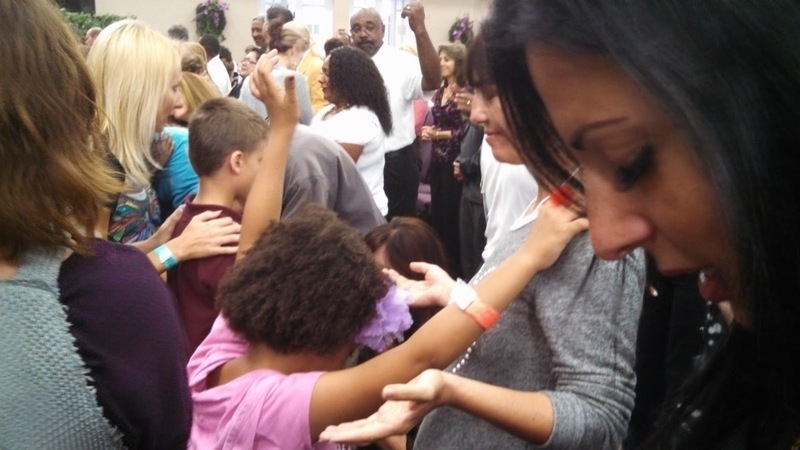 Children praying for healings - and people being healed like popcorn. "Let the little children come to me, and do not hinder them, for the kingdom of God belongs to such as these." Join us next year for another Breakthrough South Florida!